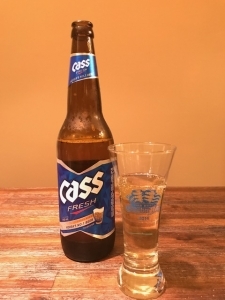 After 20 hours of research, testing, and getting buzzed (maybe more than buzzed) we have concluded that Cass Fresh is the best beer for somaek (소맥). Cass by itself is nothing spectacular: mild and light with little complexity. However, simplicity is king with somaek as other beers with deeper, richer flavors clashed with or completely masked the accompanying soju. You can’t go too wrong with other light lagers for your somaek, but Cass edged out the competition with the overall balance it provided. Bottoms up! The decision was difficult but Cass prevailed. Cass isn’t the best beer — it’s pretty unspectacular, not a very pronounced flavor profile, and there are plenty of other beers I prefer on their own. However, its unspectacular-ness is what makes it a great combination with soju. Cass perfectly muted soju’s cloying sweetness, leaving the freshness of an ice-cold beer with a soju kick. Its flavors also didn’t clash with soju as Cass doesn’t have much to play with anyways. My wife sometimes makes fun of me for being a simpleton, but as Cass and I proved, sometimes being simple is the best. Budweiser gets the second spot, but was not far off by a long shot. If anything, Budweiser has a smoother finish, but you won’t get quite the same kick of soju that you will with Cass. The more hoppy and heavier nature of Budweiser does a great job of mellowing out the slight harshness of the liquor, but on a Friday night you want something that packs a little punch. 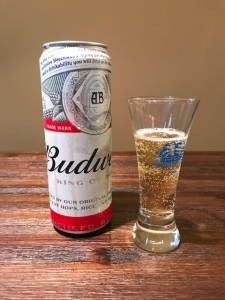 This didn’t factor into the taste test but Bud Heavies are much more filling than the lighter Korean lager, which over the course of the night will start taking its toll. 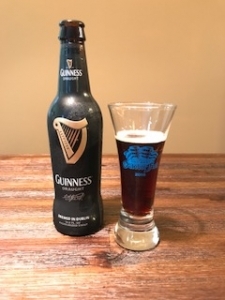 I was really excited to try this combination because Guinness is my jam and never does me wrong. How can you do me like this Guinness? This was by far the worst combination as Guinness’s subtle coffee flavor clashes with soju’s brashness in an awkward competition for my taste buds’ attention. Guinness doesn’t mute the soju, making it harder to drink, or complement it in any way, making it less fun to drink. I really wanted to like you, I really, really did. But in the end, it wasn’t me, it was you. Competition was stiff among the lite beers coming down to granular distinctions that could have gone either way. Hite is slightly hoppier when compared to Cass and Budweiser, which we’re quickly realizing does not pair well with soju. By itself, I prefer Hite over Cass or Budweiser, but with somaek weakness is strength. 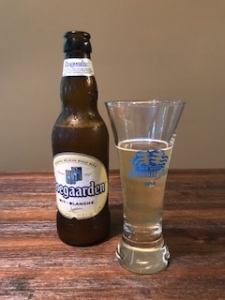 Hoegaarden has a mild citrus taste with a spicy finish and it doesn’t overwhelm you with strong, deep flavors. Its fruity and springy note seemed like a good mix with soju at first, but it falls into the same situation as Hite. Soju just doesn’t mix well with different flavors as it generally detracts from more subtle and nuanced notes. It sort of defeats the purpose of drinking a beer like Hoegaarden. 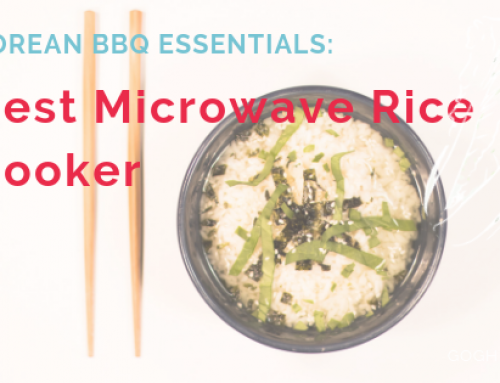 If you don’t like the flavor of soju, then this is the combination for you. 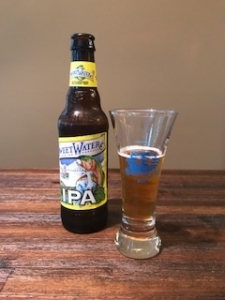 Sweetwater IPA has a much stronger, sweeter, and bitter flavor than our contending lagers, which drowns out any feeble remnants of soju. I actually liked this somaek combination since it just tasted like Sweetwater. We wanted to primarily test for balance and pair combination, however, which ultimately kicked Sweetwater out of the running. What’s the point of drinking somaek if you can’t even tell that it’s somaek. Additionally, somaek is meant to be chugged, go ahead and chug as many IPAs as your heart desires, but it’s not a very pleasant experience. *There are many great IPAs out there, but as a former Atlanta resident, I wanted to remain loyal. I’m sure if you’re reading an article about liquor you’ve heard the saying, “beer before liquor, never been sicker.” I can only tell you what I’ve seen from personal experience, not a lot of scientific research out there on this subject for some reason, but somaek (pronounced so-mek) blows past this age old debate. Similar to other internationally famous duos — Guinness and Baileys (Irish Car Bombs), sake and beer (Sake Bombs), whiskey and beer (boilermakers) — somaek mixes soju (소주) and maekju (맥주)(beer), true examples of synergy. Somaek has continued to become extremely popular in Korea and is steadily rising in popularity in the United States, coinciding with the rise of Korean food and culture in general. 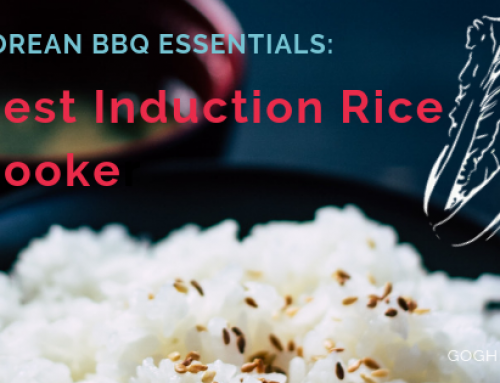 We haven’t come across a definitive origin of this titular combination, there are stories ranging from enterprising Korean college students to American GIs stiffening up lighter Korean beers, but one thing is for sure… this stuff hits you fast. Given the relatively low alcohol contents of Korean lagers and soju (most American and European liquors stick around the 40% range while soju is 15% – 20%) it’s not difficult to see where the impetus came from. I like the thought of hundreds if not thousands of ambitious people independently figuring out a way to liven up their night a little. 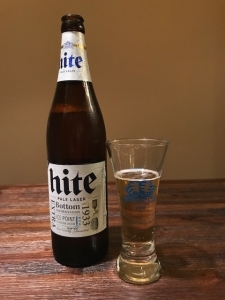 Somaek isn’t tied down to a specific type of beer by definition, but as the two most popular beers in Korea are Hite and Cass, the common sense choice is a light lager. To be honest, I don’t think I’ve ever seen an Asian beer that wasn’t a lager. But most importantly, it doesn’t really matter, somaek is about creating that 분위기 (bun-wigi), atmosphere, where friends, family, and strangers can come together and enjoy themselves. You can laugh at those who lose a game and have to drink as punishment. Or maybe it’s something that you do together when you sit around waiting for some meat to be cooked at a Korean BBQ. In other words, somaek is more than just a mashed up combo of soju and beer; it’s one more way to celebrate the bonds of friendship and help create that sense of camaraderie. As always, drink responsibly and have fun! There’s no universally agreed upon ratio of soju and beer. Truthfully, I’ve always just kind of eyeballed it depending on my mood and mixed accordingly. 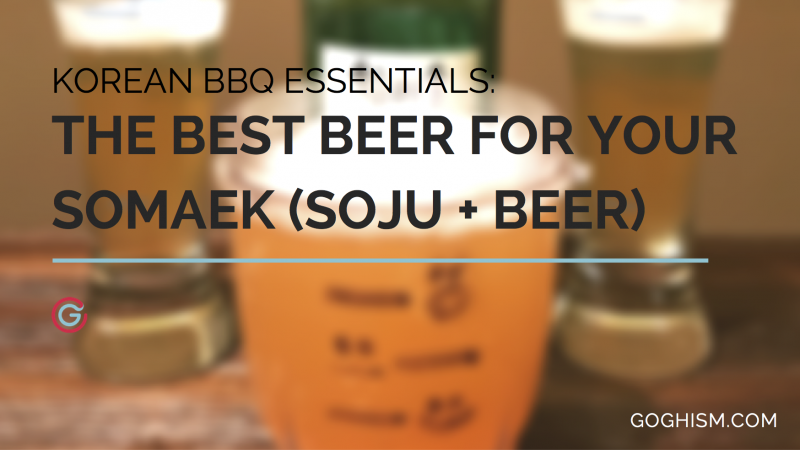 What you really want is a good balance between the taste of beer and soju. One study surveying 1,860 people asserted that the “golden” ratio was 30% soju to 70% beer (3:7 ratio). At this ratio, they were able to slightly mute the taste of soju but still have both the freshness of the beer and the slight kick from the soju. It’s kind of like adding hot sauce to a dish. I don’t want to be overwhelmed, but I do want to sweat a little. Like hot sauce, soy sauce, ketchup, and sauce really you’ll probably need to experiment to find your “golden” ratio (good thing the experimenting is fun). Despite my simple antics, somaek creation is serious business. In fact, according to koreatimes, mixing beer and soju is called “manufacturing” with Hite Jinro providing licenses to 100 people who posted their own somaek recipes on Hite’s blog site, beer2day.com. Here’s an example of beer2day’s site: http://www.beer2day.com/1178. Unfortunately, it would take me forever to translate this, but to quickly summarize people were competing in an event for the best somaek recipe. Pretty cool! We aren’t food or alcohol experts, we’re regular guys (except maybe Jinwoo) who enjoy good food and drinks and are willing to research and serve as guinea pigs to help create a better experience for all. To ensure consistency, we mixed in 1 shot of soju and 2 ½ shots of beer for each somaek across all beers. We also chose to stick with the lightest soju that we had previously tested, Jinro’s Chamisul Fresh, and tested a variety of beers including 3 lagers, 1 stout, 1 IPA, and 1 ale. We included 3 lagers in this taste test because we wanted to include two of Korea’s most popular beers as well as a popular American beer. The beers and soju were refrigerated to 37 degrees Fahrenheit. After each somaek taste test we rinsed our palates with lemon and gurgled our mouth with water. Lastly, we conducted this test over a two day period, with 3 somaek combinations per day. We wanted to test different types of beers and include some of the most popular brands with some of my happy hour go-tos. As a result, we ended up with three lagers (Budweiser, Cass, Hite), one IPA (Sweetwater), one Stout (Guinness), and 1 Witbier (Hoegaarden). We tested three lagers in order to include two of the most popular Korean beers, Cass and Hite, since it just kind of made sense for a somaek taste test. This isn’t an extensive list of beer types or brews by any means, but we had to start somewhere and honestly my fridge and liver just don’t have the space. Tell us what your favorites are! We’ll update this post with any beer that your heart and palate desire. We will also be following up this post with a review on soju cocktails. I honestly didn’t know what to expect with the taste test and which beers would go best with soju. I’ve always just gone with the flow and never really put much thought into it. So actually getting to do research and testing on this topic was a pretty fun experience for me, especially when I came to discover just how serious and nuanced the art of somaek can be. While I believe that the simpler, lite-r beers provide the best balance, don’t be afraid to experiment with the ratio or the types of beer you have stocked up in your fridge. And as always, be responsible but have fun! I agree that lite beers work best with soju! And of course you can’t ever go wrong with filling it up to the brim =D. Nice review! Wondering why Kloud didn’t make the list? Seems like its everyone goto beer for somek. And I also wonder why no one has ever created an actual somek in a bottle. What are your thoughts about it? Thanks Brian! I didn’t get to try out Kloud the first time around, but I’ll add it to my list! The review is definitely in need of some new fresh blood. I’ve also thought about why there isn’t pre-made somek already, and do agree that it would be a cool idea. However, I do think that people enjoy customizing their own somek to their taste and there’s something about dropping a shot of soju in beer that’s just really satisfying.